If you've been reading Vivatramp for a while now, you may remember that I posted about 20 #UnderhypedReads On My Shelf a while back that celebrated the reads that I owned but hadn't heard much about. Well, the underhyped movement is still very much alive and Charlotte's latest #UnderHypedReads readathon runs from Monday 21st September to Sunday 27th September. This is a very chilled out readathon, without any hefty challenges, with the idea being to read books that you haven't heard much about in the bookish community that also, ideally, have less than 5,000 ratings on Goodreads. 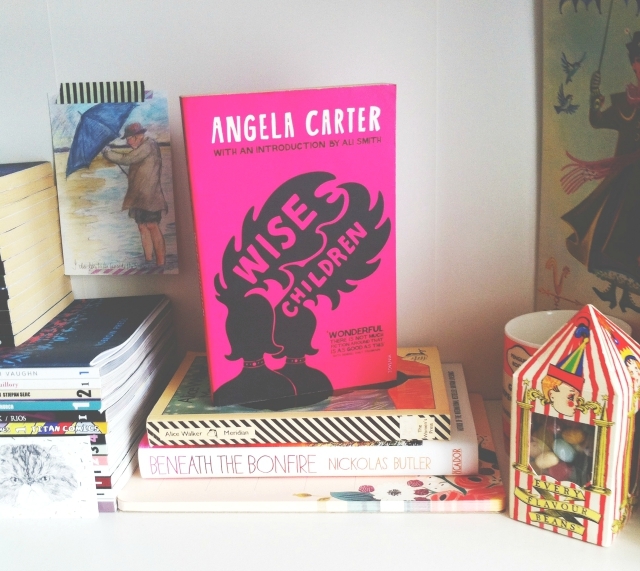 I scoured my bookshelves and put together a little TBR pile for the week! If you're taking part, let me know what you're going to read. Set in the American South in the 1960's, Meridian followers Meridian Hill, a courageous young women who dedicates herself heart and soul to her civil rights work, touching the lives of those around her even as her own health begins to deteriorate. Hers is a lonely battle, but it is one that she will not abandon, whatever the costs. I bought this for £1 from a secondhand book shop back in February, as featured in my secondhand book haul at the time, and it sounds like just the sort of read that I am really enjoying right now - personal sagas full of women being strong and beautiful and everything that real women are essentially. 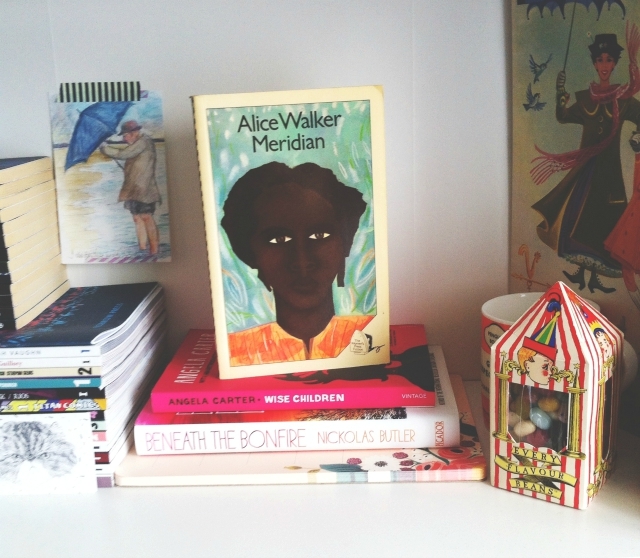 The Color Purple is one of my favourite books, and Walker's most popular, so it should be interesting to read this, her second novel, and see whether it deserves the same amount of praise. It's Alice Walker so it probably will! 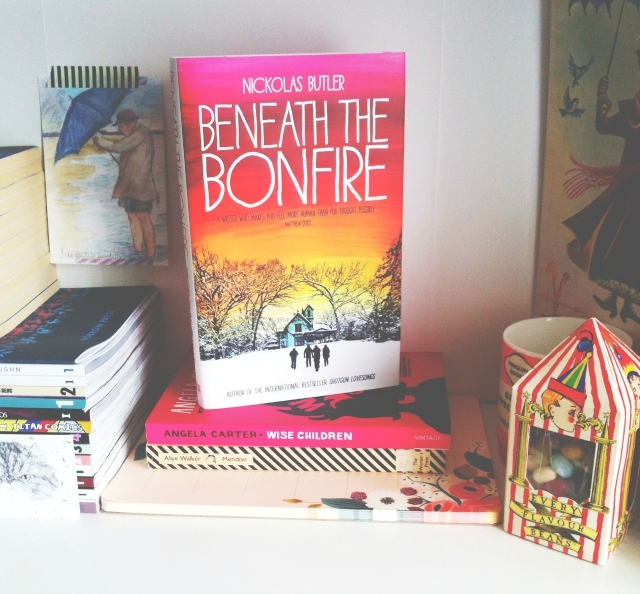 A richly comic tale of the tangled fortunes of two theatricial families, the Hazards and the Chances, Angela Carter's witty and bawdy novel is populated with as many sets of twins, and mistaken identities as any Shakespeare comedy, and celebrates the magic of over a century of showbusiness. I studied Carter's The Bloody Chamber, arguably her most famous work, going on 7 or 8 years ago now and I haven't read anything by her since. Carter loves to be deliciously dark, so I'm expecting to see some of that wickedness to flow through this novel that the wonderful Gemma sent me a couple of years ago now. The ten stories in this dazzling, suprising collection evoke a landscape that will be instantly recognizable to anyone who has traveled the back roads and blue highways of America, and they completely capture the memorable characters who call it home. I was sent this collection of short stories to review by the publisher a month or so ago and I have to say I know next to nothing about the author. Having researched him a little, it would seem that he wrote a novel that won quite a few awards and he is a childhood friend of Justin of Bon Iver fame. Oh, the powers of the search engine. I really enjoy collections that tell stories about landscapes just as much as they tell stories about people so I'm hoping this will be a three star and up collection. 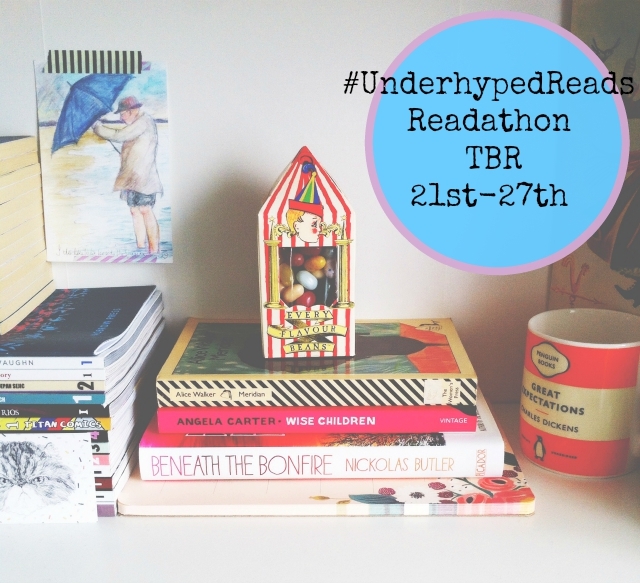 Will you be taking part in the #UnderHypedReads readathon? What would you read if you were going to?